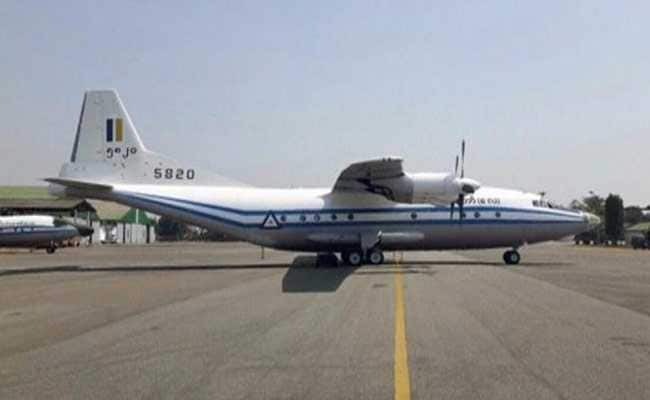 The commander in chief's office confirmed wreckage of Myanmar plane had been found off the coast of Launglon, in southern Myanmar, on Thursday morning. Yangon, Myanmar: Myanmar's military said Thursday it has found the wreckage of a plane in the Andaman Sea that went missing with around 120 people on board, along with several bodies. A navy search ship scouring the waves found the bodies of a man, woman and child, as well as pieces of luggage, safety jackets and a tyre presumed to be from the aircraft's wheel. "We have found the plane and some dead bodies this morning about 8.25 am (0155 GMT)," a spokesman from the military's information team told AFP. The commander in chief's office confirmed wreckage had been found off the coast of Launglon, in southern Myanmar, on Thursday morning. Nine navy ships and three air force planes had been dispatched in a desperate search for the aircraft, which disappeared on Wednesday afternoon as it flew from the southern city of Myeik to Yangon, Myanmar's commercial heart. More than half of the passengers were from military families, including 15 children, along with 35 soldiers and 14 crew members, the army chief's office said in a statement. Some were travelling for medical check-ups or to attend school in Yangon. Search and rescue efforts continued Thursday morning as relatives of the passengers braced for the worst. Wai Lin Aung said his mother had been on the plane after visiting his sister, who is married to a soldier based in Myeik. "The whole family is very sad and we are waiting for news," he told AFP. It is monsoon season in Myanmar but there were no reports of stormy weather in the area at the time. The commander-in-chief's office said the plane lost contact with air traffic control at 1:35 pm (07:05 GMT) on Wednesday, about half an hour after takeoff. The Myanmar military named the captain of the Shaanxi Y8 four-engine turboprop as Lieutenant Colonel Nyein Chan, who it said had more than 3,000 hours of flying experience. The plane was bought in March 2016 and had a total of 809 flying hours. The debris was found in the Andaman Sea, north of the last known location of Malaysia Airlines flight 370. The plane went missing in March 2014 en route from Kuala Lumpur to Beijing with 239 people on board, but no wreckage has ever been found.